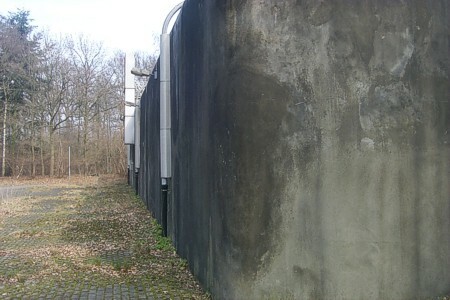 The bunker has walls and a roof of which the thickness varies from 2 until 3.5 meter. This shows the main entrance. 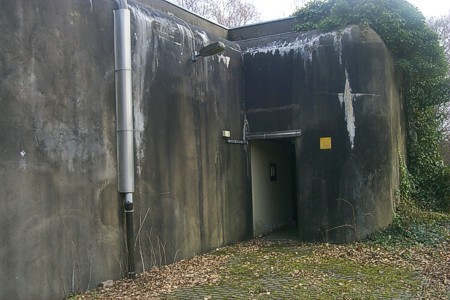 There were four bunkers of this type in Holland. 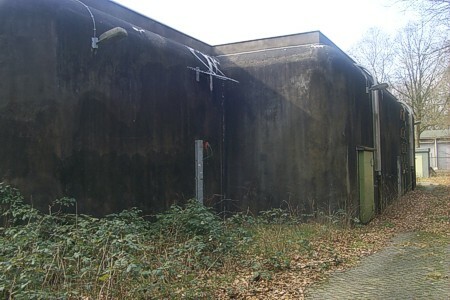 The bunker has a second (emergency) exit, which was also used to bring in the big pieces of equipment. 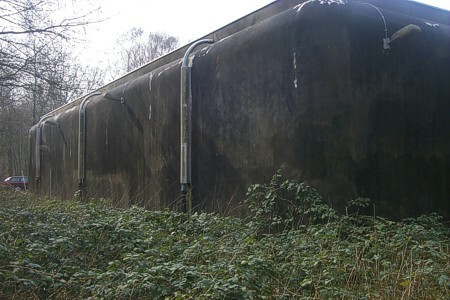 The military have abandonned the bunker years ago. The future for this relic is uncertain.